When caring for a family member, it's vital that you can know when they need your help, but it can be difficult if they're in their room or a different part of the house. 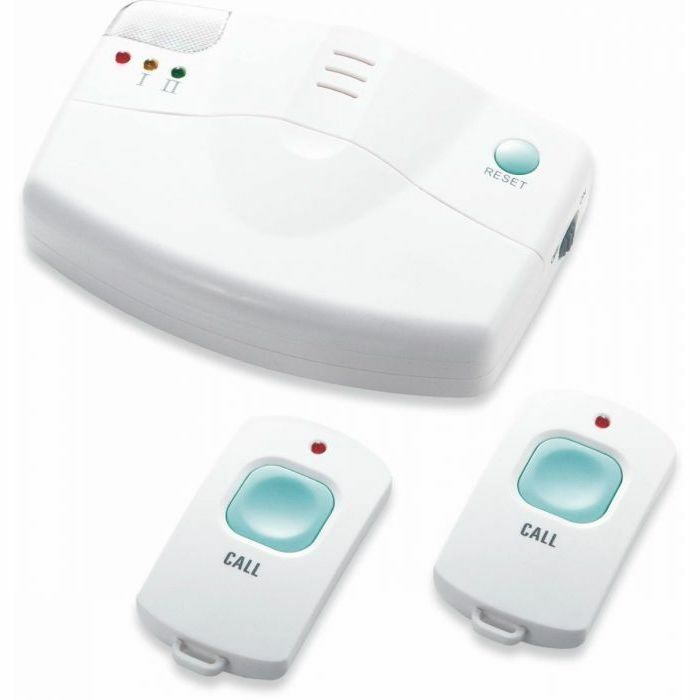 The Friends and Family Home Safety Alert Wireless Pendant Call Alarm is a wireless calling alarm system with one main receiver unit and two pendant calling transmitters, providing helpful support for the elderly, disabled or children. Each alert has its own sound, helping you instantly know who needs your help and how urgently. A quick reset button on the main unit enables you to cancel the call or alarm, preventing it from sounding as you tend to the issue. A low battery warning ensures that you can keep the main unit powered and functional for the life of the product. The main unit can be battery or mains operated for use in any location with a range of up to 60m altogether (30m per pendant). This enables you to position it wherever it needs to be with no need to worry about nearby mains sockets. Both pendants are wireless and can comfortably be worn around the neck to ensure they're always available when needed. These are powered by a CR2032 battery, and one is included for each pendant. Please note that the Home Safety Alarm Mains Adaptor is not included with this product.